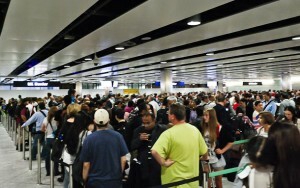 In what is suspected to be the busiest day in airport history for Heathrow, UK Border Agency immigration staff plan to carry out a proposed strike in protest of job cuts. Nearly 1,000 more agents than intended were recently let go from the UK border agency and the agency had to hire extra workers as well as increase overtime to meet expectations. It may in fact come to the point where military police and public servant managers will be checking travelers’ passports at immigration during these Olympic Games. The situation is ripe for chaos and it will take increased diligence from officials manning airport checkpoints. Travelers on the other hand will get the short end of the stick with what are sure to be increased wait time in queues and delayed appointments for those in country for business. 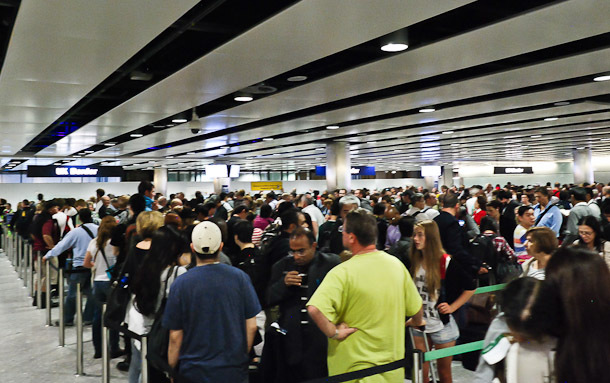 It is advised, if possible, for travelers who are able to reroute flights to smaller airports in the UK to do so and hopefully avoid the extensive traffic they would surely be met with at Heathrow. Will Thierry Henry be playing for Arsenal in the next season?